What Is The Definition Of Trap In Soccer? 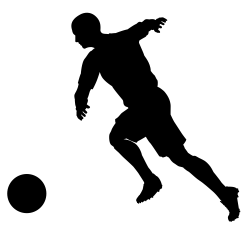 This term describes of method of gaining control of the ball off of a pass or a loose ball. Trapping the ball involves using the feet, thighs or chest to bring the ball to the ground while keeping it in the player’s possession. It can include stopping the ball completely or redirecting the ball in a controlled manner. When trying to stop or slow the ball, players cushion the ball as it moves towards them. It is a key skill for any soccer player to master. 1. Donovan trapped the ball perfectly on every pass. 2. The ball keeps bouncing off his foot, so he really needs to work on his trapping skills. In order to become an effective dribbling and controller of the soccer ball, a play must become of master of trapping the ball. Although it may simple enough to just use any legal part of the body to stop the ball, there are some common ways to trap a ball. Chest trap: With this method, you would cushion the ball and let it hit your chest and then guide it to the ground. Thigh trap: With this method, you would cushion the ball and let it hit the inside, middle of your thigh, then guide the ball to the ground. Outside foot trap: Absorb and cushion the ball with the outside, middle of your foot. Inside foot trap: You can either catch the ball while in the air with the inside, middle part of your foot, or you can let the ball hit the ground and then you would immediately catch the ball with the inside, middle of your foot. Step trap: You would simple step on the ball and stop it from moving in order to gain control. Laces trap: Anticipate where the ball is to hit the ground, and before it does, take your foot and point your toe upwards and softly cushion the ball with the top of your foot where you laces are on your shoe and guide the ball to the ground.